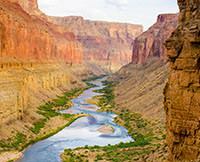 The Best Way to Experience the Grand Canyon and Spend Time With Family! After my family's 3-day rafting trip in the Grand Canyon the last week of June, I am convinced that being on the river is the best way to truly appreciate the beauty and vastness of the area. Having time with the kids with no distractions or cell service for 3 days was priceless! 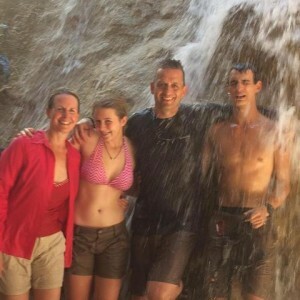 I chose our waterfall picture to share as we are normally swimming in the Gulf of Mexico with warm water for our summer vacation, and this waterfall was wonderfully warm compared to the 55-degree water of the Colorado River! Our guides, Stephen, Johnny, Ben and Sam enhanced our experience with their expert operation of the J-rigs, great cooking and their many stories! Anyone who ends up with these guys will not be disappointed!